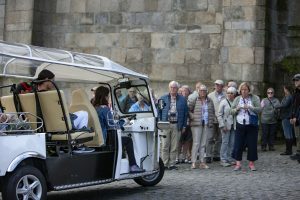 Tuktour Porto propose you the Porto Douro – right bank tour. 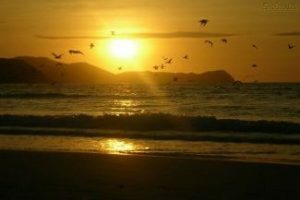 Discover the right bank of the Douro to the sea! Its colorful houses, fishing, castles, Sea Life, Matosinhos and fish restaurants, beaches and seaside walks. Possibility of splitting or partitioning the turn as you wish. Discover the right bank of the Douro to the sea! Its colorful houses, fishing, castles, Sea Life, Matosinhos and fish restaurants, beaches and seaside walks. Possibility of splitting or partitioning the turn as you wish. 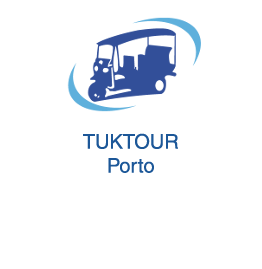 TUKTOUR PORTO invites you to discover the charm of the right bank of the Douro. 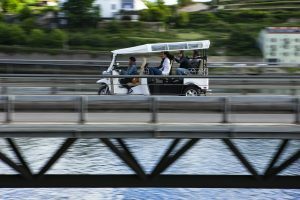 Relax with our beautiful ride that takes you to the Foz do Douro! Our walk will begin at our point of sale at Clerigos , we will pass Aliados Avenue, initially named Allied Nations Avenue has been opened in 1916 after a renovation plan for the city center, connecting the squares of Trindade and Liberdade. You can see, among others, the statue of Almeida Garrett Writer, poet, orator, politician who was one of the greatest figures of Portuguese romanticism and the statue of Dom Pedro IV. 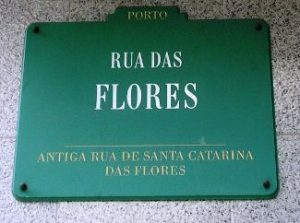 We wander down the picturesque Street of Flowers “Rua das Flores” originally called “Rua de Santa Catarina das Flores ” taking into account its many gardens and orchards. It was open to 16th century, in 1518, by King Manuel I to decongest the city. Paved in 1542, it became one of the main arteries of the city, chosen by the nobles, bourgeois, many traders and goldsmiths to build magnificent houses with beautiful balconies. In this narrow alley, and where you can still find hectic goldsmiths and magnificent buildings, including Baroque church of Mercy “Igreja da Misericordia “In 1555, the Brotherhood of Our Lady of Mercy “Nossa senhora da Misericórdia” was placed in the chapel of S. Tiago in the cloister of the Cathedral of Porto. 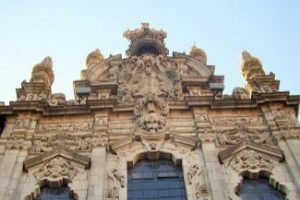 In 1748 the walls have been reinforced, new vaults built as well as the facade of Nicolau Nasoni, very rich in decorative elements. 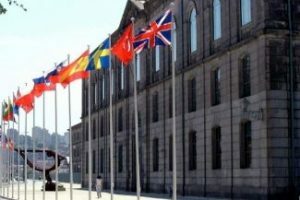 Then by Belmonte street and its picturesque narrow streets, we reach the Nova de Alfandega street and the Congress Palace “Palacio dos Congressos”, the former border customs “Alfândega”, where our tour will go towards the romantic Foz do Douro, borded by its coloured houses. You can also see the imposing building of Porto wine museum “Museu do Vinho do Porto”, that was inaugurated in 2004, in a beautiful 18th century building . 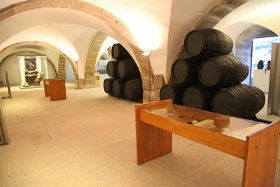 This warehouse was built to store wine from the General Company of Agriculture and vineyard of Douro. 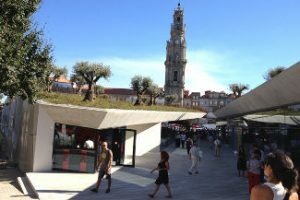 The trade in Porto has had a major impact on the cultural and architectural development of the city. 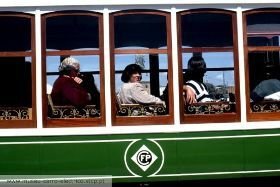 In the Porto Electric Car Museum of STCP “Museu do Carro Électrico do STCP” opened in 1992 you will see an impressive collection of electric cars and others who have marked the history of urban transport in the city. From our stop at Foz Castle “Castelo da Foz”, built during the regency of D.Catarina at the end of the sixteenth century to defend the coast and the entrance to the Douro, a beautiful pedestrian promenade by the sea is waiting for you where you’ll find the Cheese Castle “Castelo do Queijo ” and its beach with a range of 140 meters dominated by rocky outcrops. Sao Francisco Xavier Fort former defensive fortification located on the “Praça Gonçalves Zarco”, was built in the fifteenth century near a huge rock looking like a cheese, hence the name “Castelo do Queijo”(Cheese castle). It seems that this was a sacred place for the “Draganes” a Celtic tribe, six centuries BC. Then you can watch the underwater world in the premises of Sea Life Oceanario. Just a few more metres, and we will reach the beaches of Matosinhos, surfing, and its famous fish restaurants.